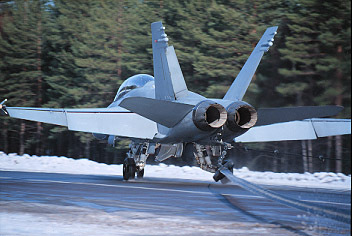 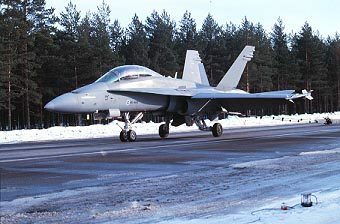 During a winter road base exercise in early 1998 Fighter Squadron 21 F-18 Hornets made the first arrested landings on the highway using the portable arresting system and the arresting hook. 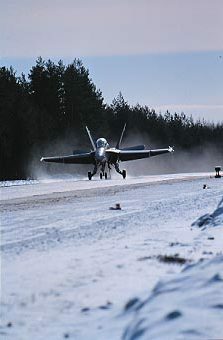 As you can see from the photo there is still some snow on the road and the tall pine trees are pretty close to the highway. 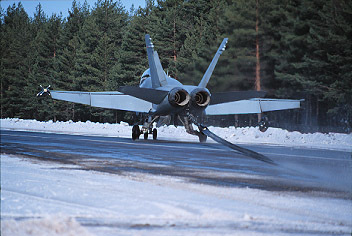 The squadron flew day and night operations from the road base.